After a two-year hiatus, "Oprah's Favorite Things" returns as a two-hour special on OWN. “Oprah’s Favorite Things” are back! It’s been two years since The Oprah Winfrey Show last aired, and the holidays just haven’t been the same without the talk show’s most popular giveaway segment. 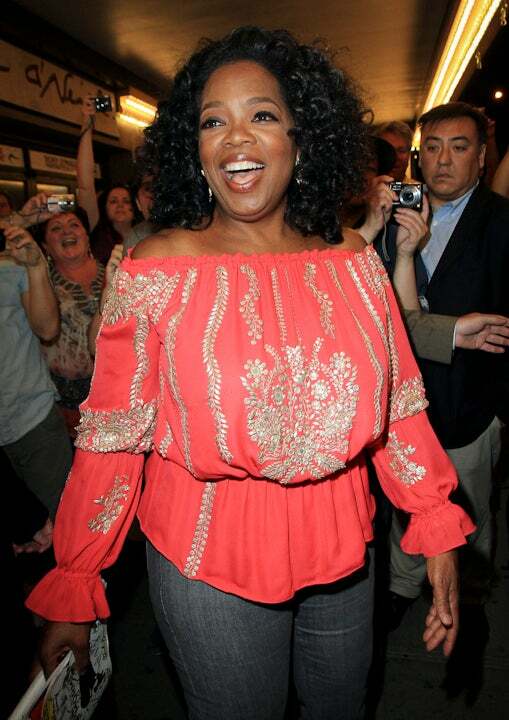 Oprah Winfrey has decided to bring back her gift extravaganza as a television special on her OWN network. Oprah’s Favorite Things: The Giveaway Special is set to air on Sunday, November 18. The show’s lucky recipients will be military spouses from each branch of the Armed Forces, according to Entertainment Weekly. Since the segment launched in 1996 Winfrey has repeatedly welcomed teachers and other civil servants for the once-in-a-lifetime moment. The show’s most extravagant gifts have been iPads, jewelry and in 2010 each audience member walked away with the keys to a new 2012 Volkswagen Beetle. This year, the show will include O’s editor-at-large Gayle King, creative director Adam Glassman and designers Michael Kors and Tory Burch. At-home viewers will also have the opportunity to participate. By texting key words during the show’s telecast, viewers have the chance to win prizes. The two-hour special will be followed by the premiere of OWN’s newest docu-series, Married to the Army: Alaska, at 10 p.m.